Sunday worship service begins at 10 a.m. Live-streaming begins 10-15 minutes prior to each service. 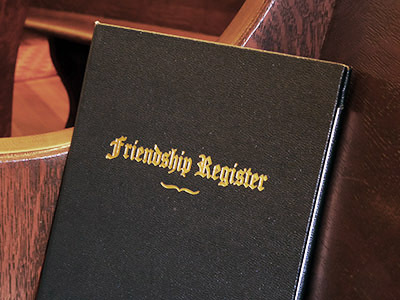 While you're waiting or after the service, please consider filling out our online Friendship Register below. Click or tap the player window below to watch. Thank you for worshipping with us today. Please consider filling out our online Friendship Register. How many are worshipping with you today? Message for pastors or staff? No window (white space): You may have a missing or outdated video player. You must have the latest version of Adobe Flash Player. Click here to install Adobe Flash Player. No video: Try closing your browser, reopening it, and navigating back to this page. Video does not play: Older Android devices may require you to install a special video player, which you can find here. Comments: Please send your comments or questions to home1771@homemoravian.org. Thank you for watching!